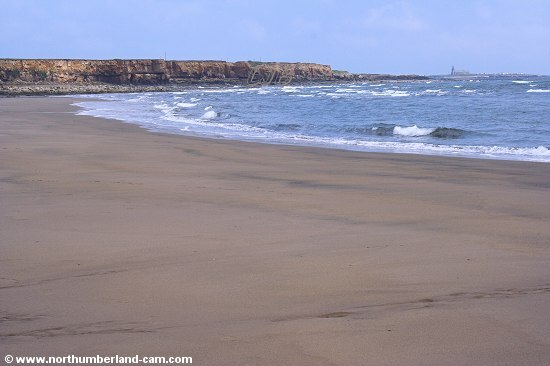 This beach on the north side of the mouth of the River Wansbeck is very quiet. It is used mainly by visitors to the large caravan park that carries the same name. 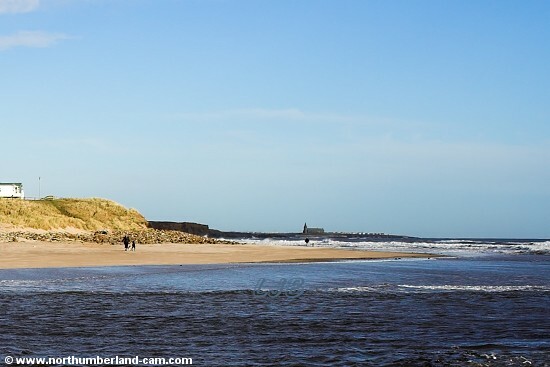 Unless you are staying at the caravan park the beach is quite difficult to reach as you need to walk some distance to it, either along the cliffs from Newbiggin or along the River Wansbeck from North Seaton. There used to be a car park and approach track from the main road but this was blocked off. 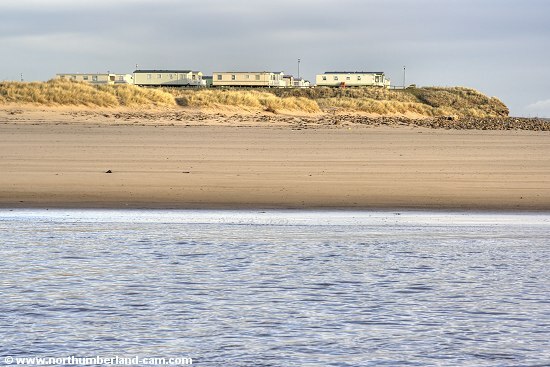 The mouth of the River Wansbeck can be dangerous as there are very strong tidal currents, especially at "the chain" the site of the old ferry to Cambois. 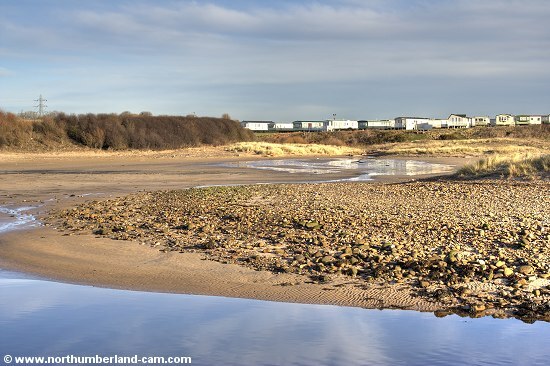 The beach seen from across the River Wansbeck and looking north to Newbiggin. The beach on the north side of the River Wansbeck. 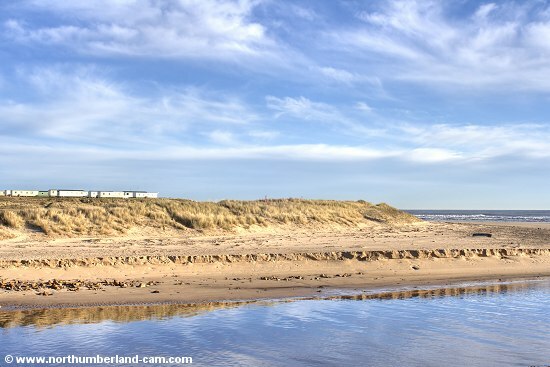 There are sands behind the dunes in the River Wansbeck Estuary. The beach at low tide looking towards Newbiggin.